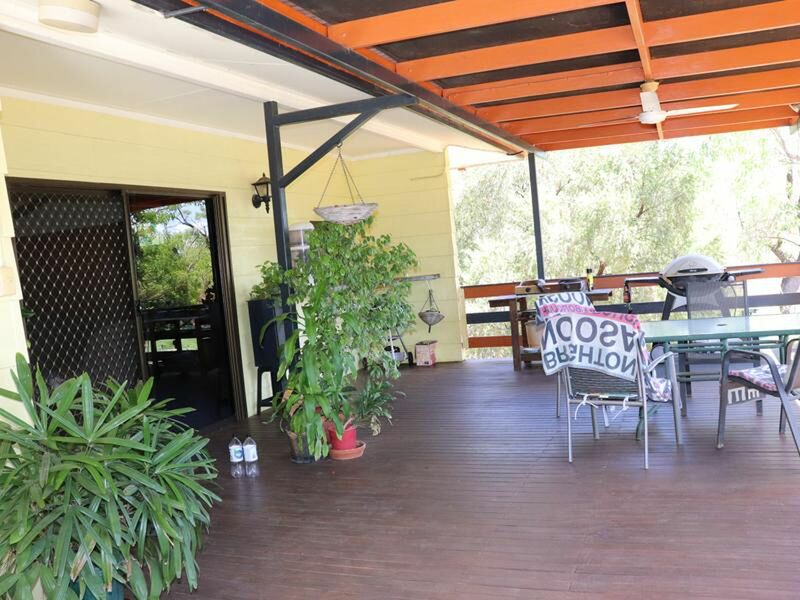 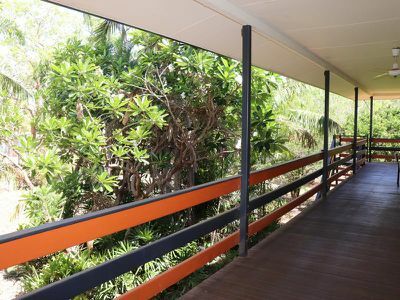 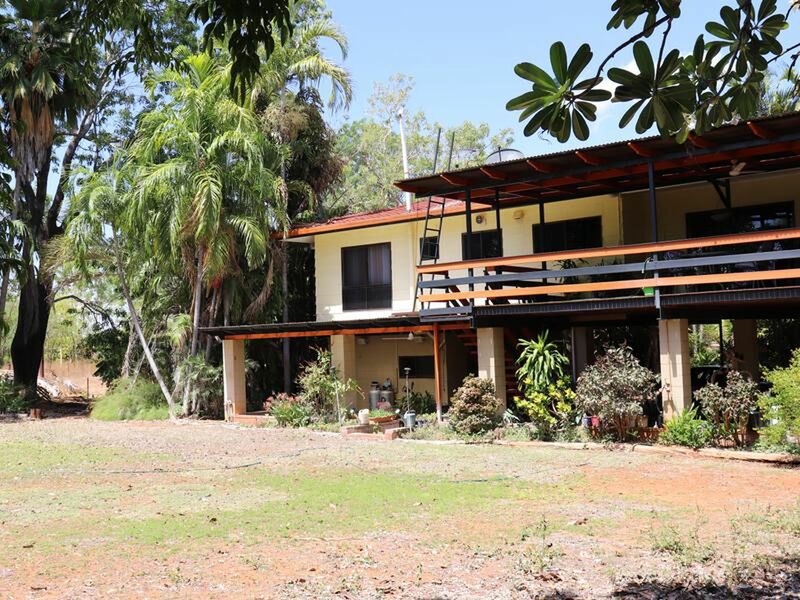 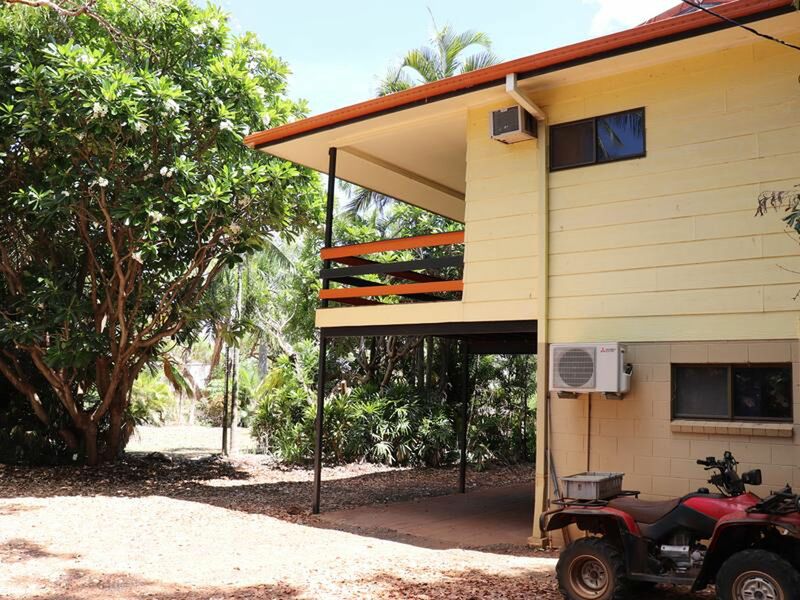 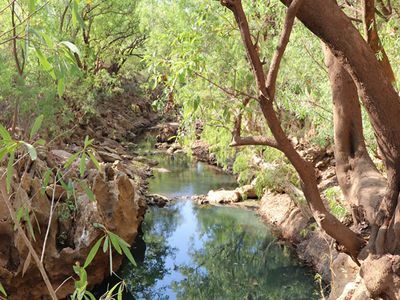 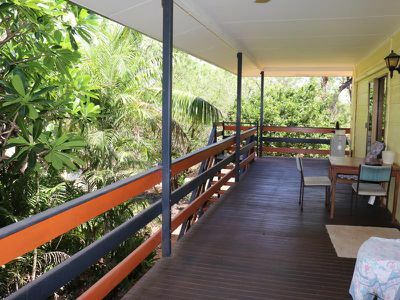 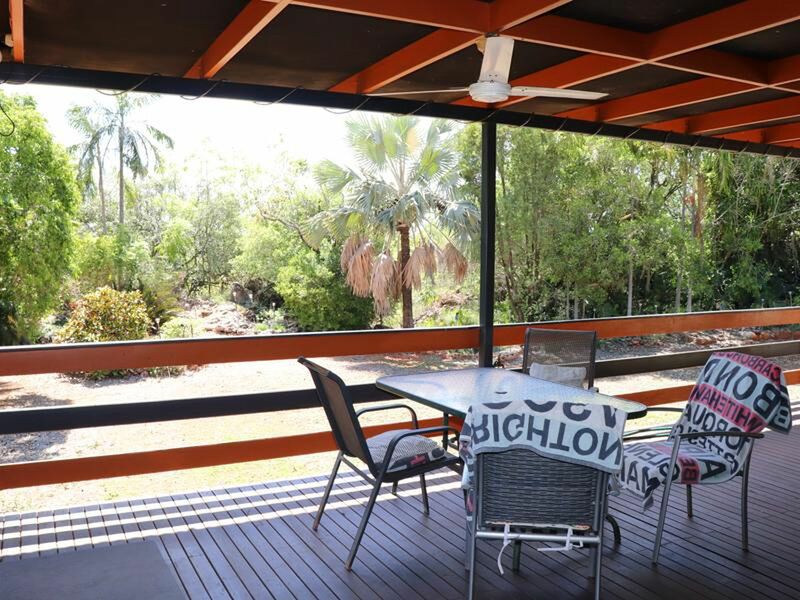 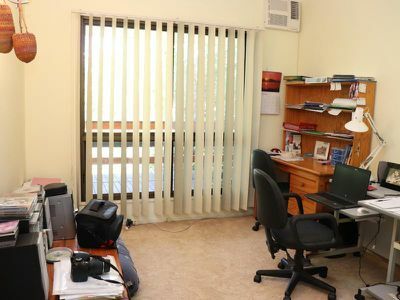 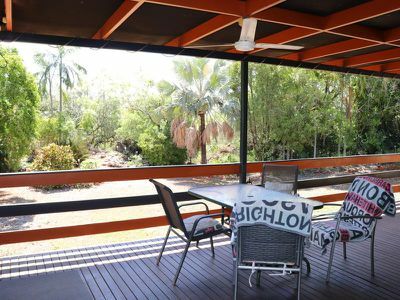 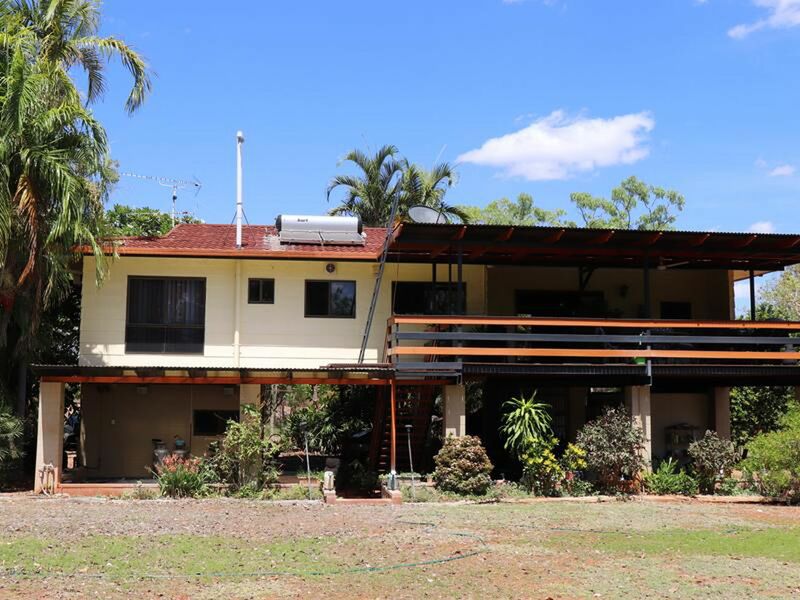 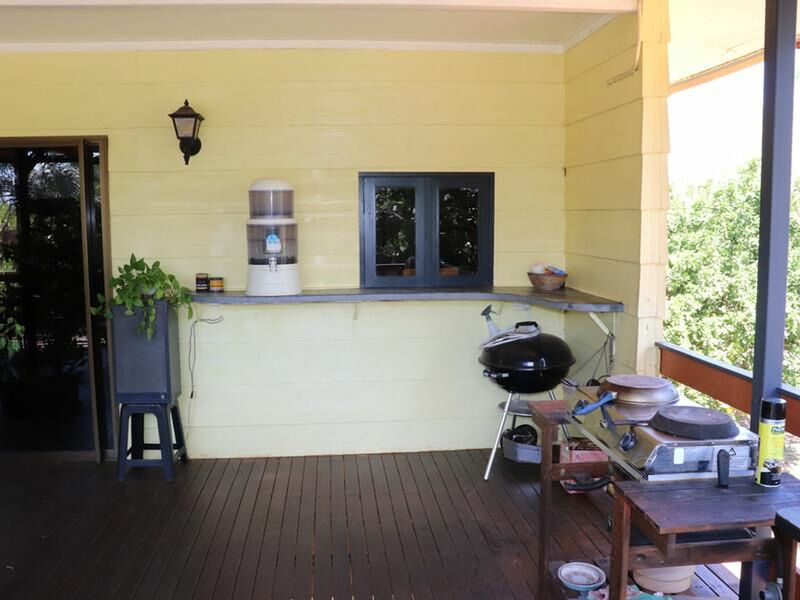 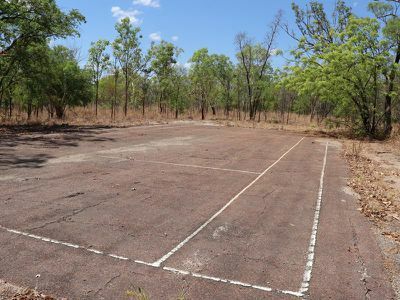 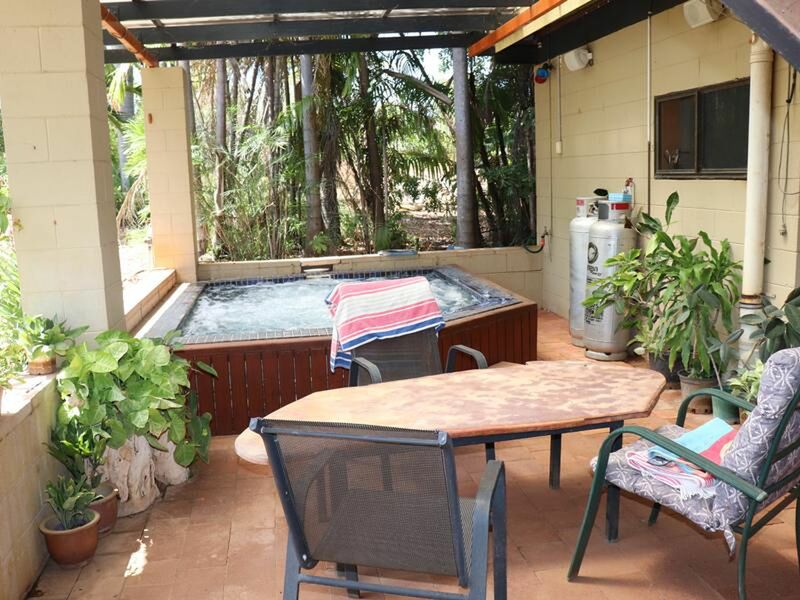 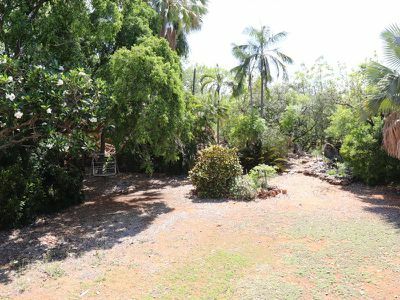 132 Emungalan Road is a unique property, the beautiful home sits on 14 ha (35acres) of land approx 3 minuets drive from Katherine. High-set home made of Steel and fiberboard cladding, featuring three bedrooms upstairs, two with built-in robes. 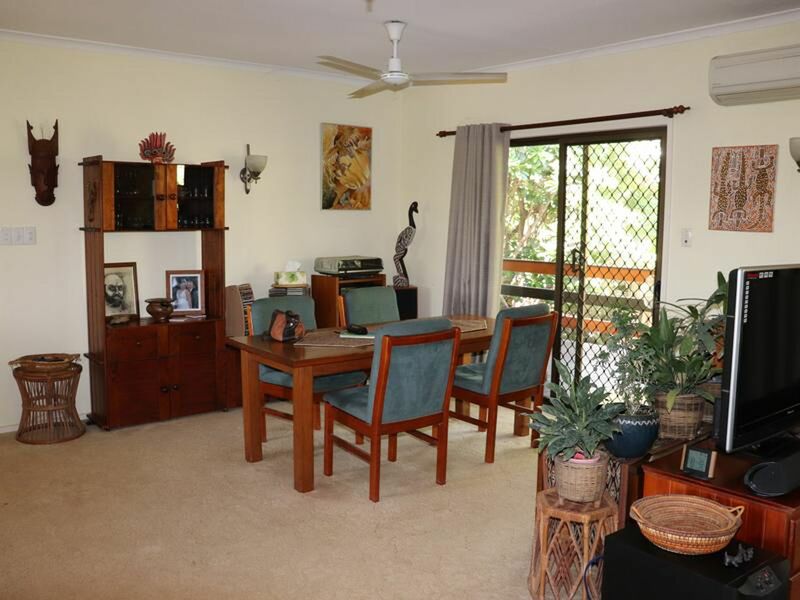 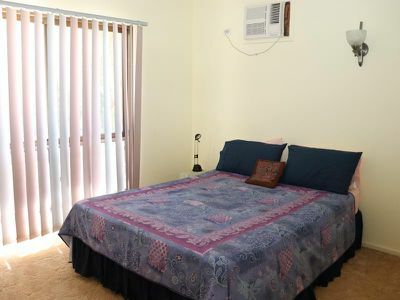 The house is airconditioned throughout and there are verandas on each side of the house. 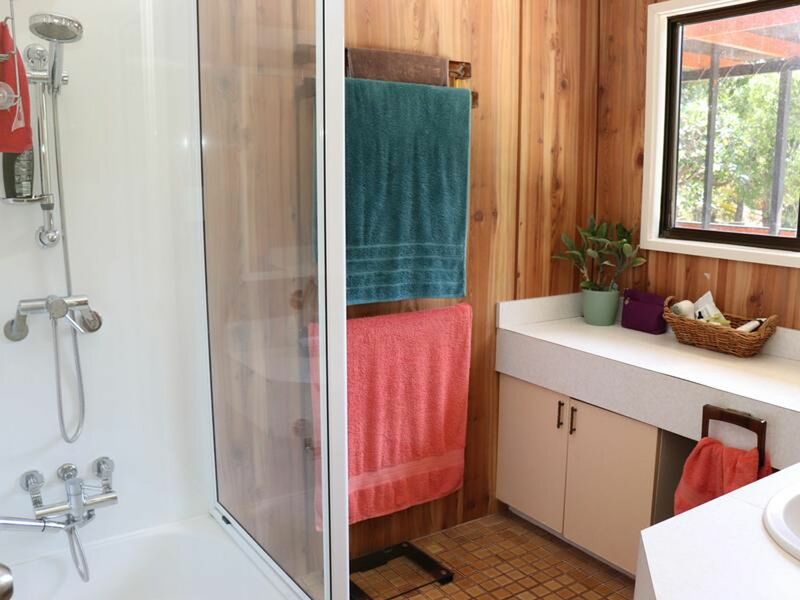 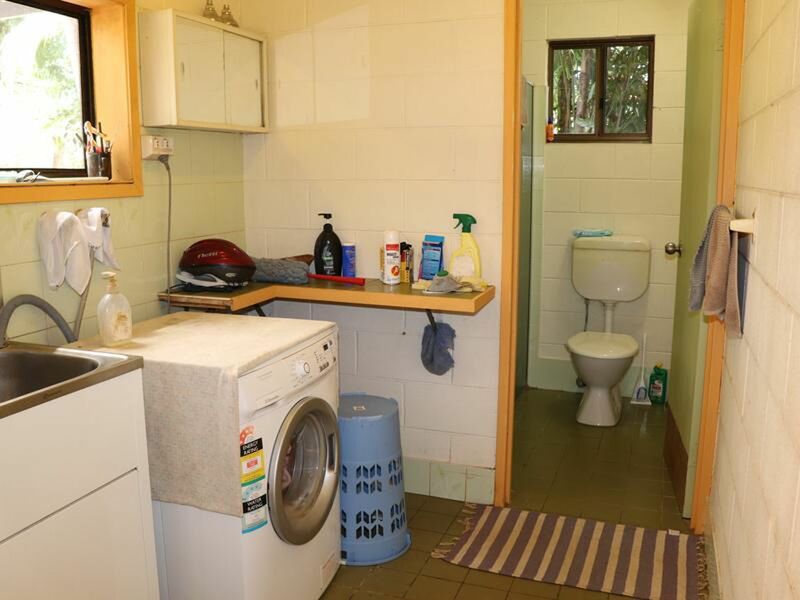 The family bathroom contains a shower and toilet is separate for convenience. 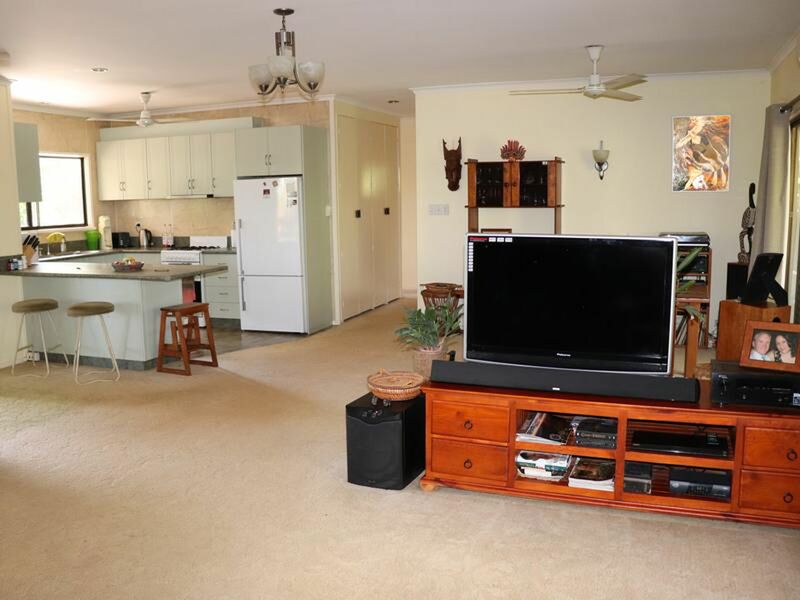 The kitchen, lounge room and dining room are open plan offering plenty of room to hold the whole family. 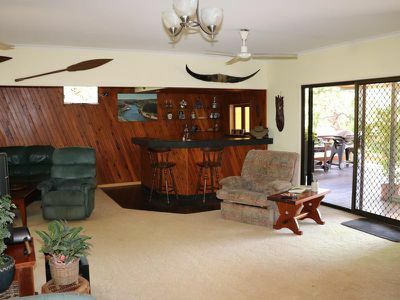 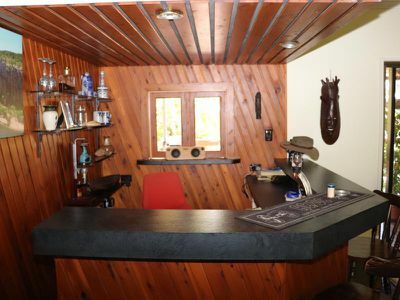 The lounge room also offers a timber bar. 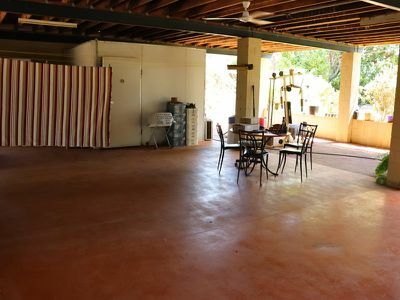 The cc Floors are carpeted or vinyl throughout. 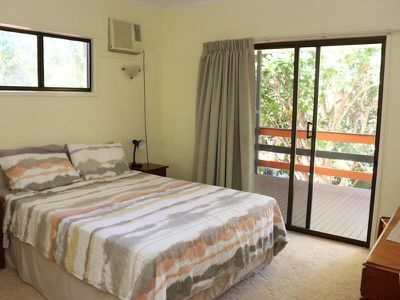 On the ground floor you will find another bedroom with a bathroom containing a shower, toilet and enclosed laundry.The large veranda has a BBQ area, perfect for entertaining family and friends. A massive spa will provide relief in the build-up and there is a cold room which will come in handy at Christmas time!Steel fabricated pergola style shed, used for mango harvest, enough room to house farm equipment or other vehicles. 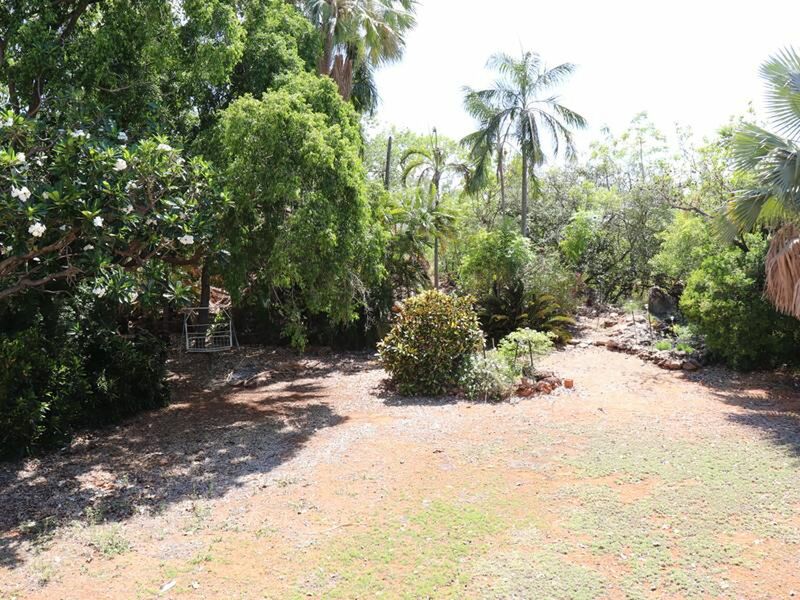 There are 1000 established Kensington Pride Mango trees on 8Ha with a 98ML water licence. The properties bore has been tested for PFAS and has come back NEGATIVE, which means the Mangoes are PFAS free. 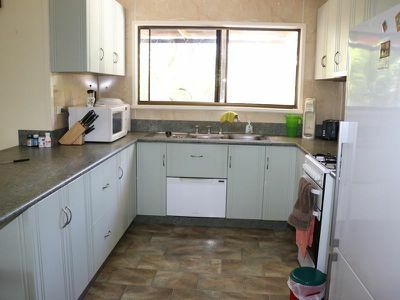 There is the opportunity to lease out the mangoes which can earn you some pocket money of approx $12000 - $15000 for doing nothing. The owner has thought of everything, there is a small wooden smoke house set up to smoke your own meat and a tennis court. 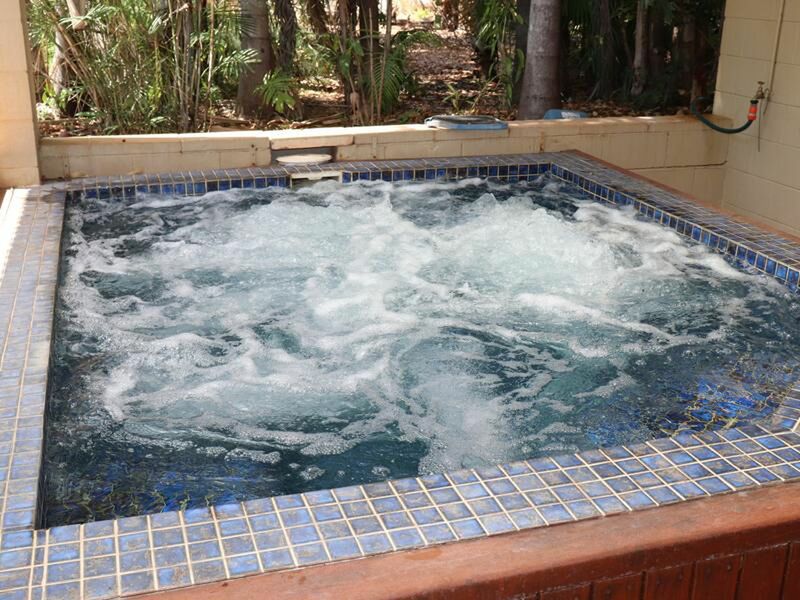 Water tank and bore are also included. 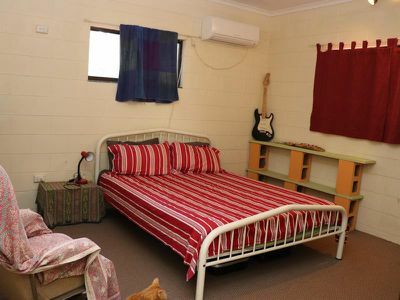 Mains power, garbage collection and school bus service. 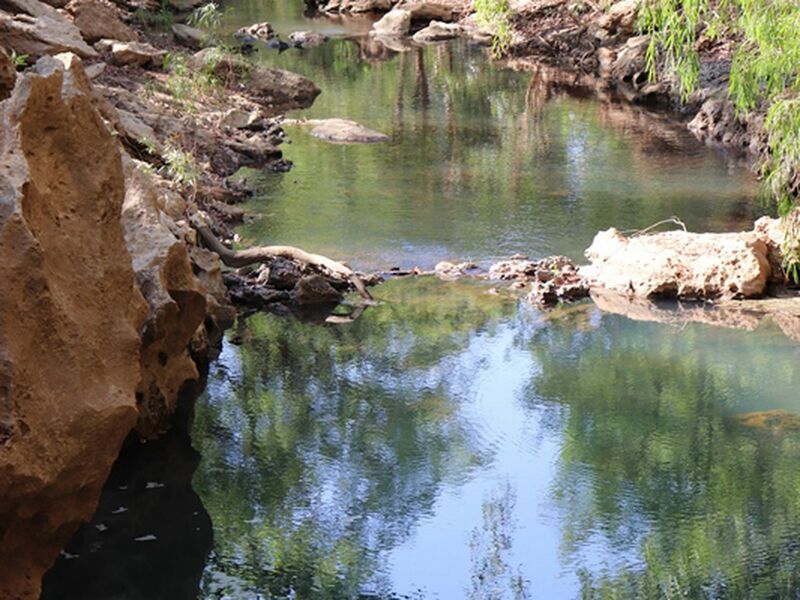 The highlight of this property is that you are adjacent to 2 Mile Creek. 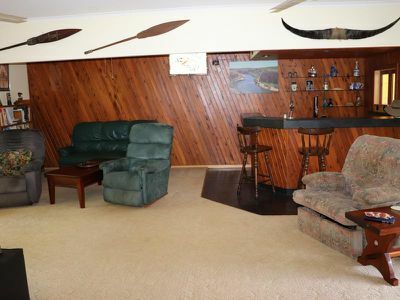 Residence located above the 100-year flood level. This property has so much to offer and it is also contamination free. This really is a property that needs to be seen to be believed; a beautiful home with plenty of potential! 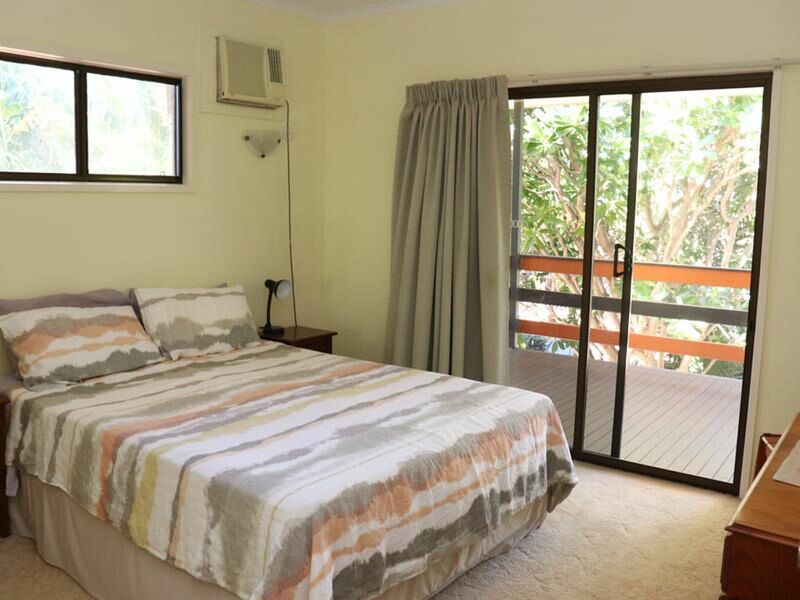 Call Leah Garrett today on 0437 456 474!